2. Start with your pesto by blending the pistachios in a food processor until fine. 3. Add your garlic and basil and begin to blend. 4. Gradually add your olive oil into the blender until desired consistency. Set pesto aside in a large mixing bowl. 5. 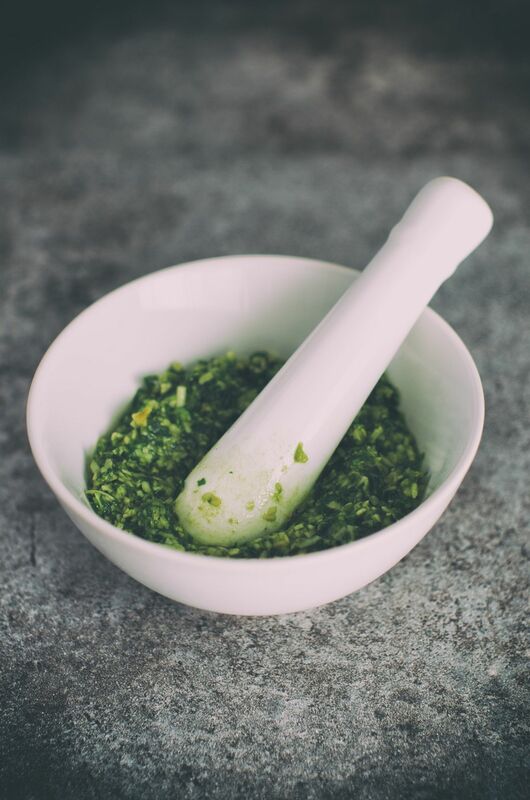 Add your chopped walnuts and lime juice into your pesto mixture and stir well. 6. Lightly grease a large baking tray with olive oil and spread your chicken breasts evenly in the pan. 7. Coat the chicken with a generous layer of your pesto paste and bake for 30-40 minutes, or until chicken shows no pinkness.